It is really easy to live at peace with peaceable people, people who are mannerly and kind, and make an effort to do the right thing. But it does take a lot sometimes to live with the unlovely and to be kind to difficult people. But you know, God doesn’t call us to love the lovely. When Jesus came to the earth, he often ate with the publicans, the tax collectors, and all the unruly folk of his time. My goodness, even his very disciples were very rough people! But what did Jesus do? He made friends with them. And by making befriending them, he won many hearts to God’s goodness and grace. God also gives us the key. That if our ways please Him, even people who are our ‘enemies’ can be at peace with us. So, the next time you see someone you really can’t tolerate because you may not like their attitudes or persuasions in life, remember that if you please the Lord, then you can be at peace with the seemingly unruly people. 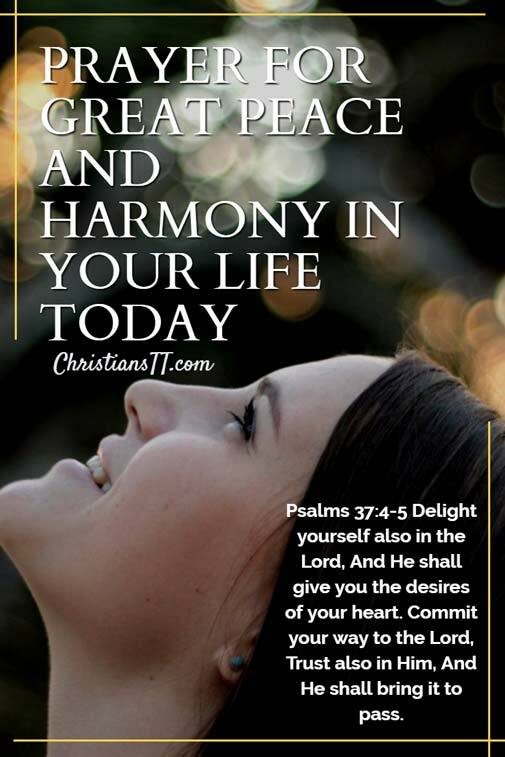 We are encouraged by the Word to live in peace, as far as it depends on you (that means it’s your choice), with everyone. Let’s pray. My God still sits on the throne! Heavenly Father, thank You that I go from glory to glory and by this my lifestyle can be changed forever. Thank You Lord for preparing the path for me and leading me into righteousness. I am transformed by the name of Jesus Christ! You are my God, and in You, wonderful Father, I trust. I pray today Abba Father that, as a people, we will live together in harmony and our relationships will flourish. The goodness of God will follow us as we continually spread the love of Jesus with one another. Philippians 4:6-7 Be anxious for nothing. But in everything, by prayer and supplication with thanksgiving, let your requests be made known unto God. And the peace of God, which passes all understanding, shall keep your hearts and minds through Christ Jesus. I declare that Jesus reigns on high and His light shines brightly through me. I surrender everything to you Lord and pray that as I interact with others, You will bring the right people into my life. Lead me and help me to stay focused on You and follow Your plan. I declare that my dreams and goals will be realized in Jesus name. As I go from day to day, let me saturate my mind and heart with Your word, Father, so I will gain wisdom and understanding. Shape my desires to Your desires, in Jesus mighty name, So Be it, Amen and Amen! A woman of God, a worshipper striving for excellence in ALL areas of my life!I am a daughter, sister, wife and mother who has come to the realization that life without God is boring and empty. Through my prayers I hope to shine the light of truth and encourage others so that we can all glorify God in everything we do. I continue to relay messages that God has equipped me to write for His purpose. I hope my prayers will help you feel inspired and trust our limitless God more deeply.